Californian band Sleep established themselves as one of the most crucial Stoner/Doom influences of all time with second album 'Sleep's Holy Mountain'. From that, their initial Sabbath-worship expanded to become a dreamy, extended, jamming bedrock of the entire Stoner scene. The band split up in 1998, with band members going on to form High On Fire and Om. 'Jerusalem' and 'Dopesmoker' are essentially the same album, comprising the same approximately hour-long track in various different guises and occasionally packaged with bonuses. 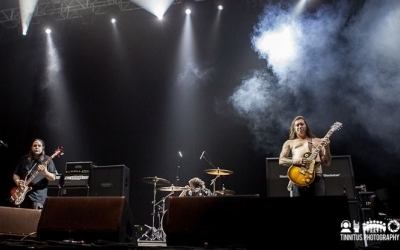 Sleep reformed in 2009 with a change of drummer, essentially as a live act, and only followed that up with an album nearly ten years later.